The historic Royal Oak pub in Eccles has quietly closed its doors, potentially for the final time. Owners Joseph Holts declared their intention to sell up and move on when they put the pub on the market in September 2014. 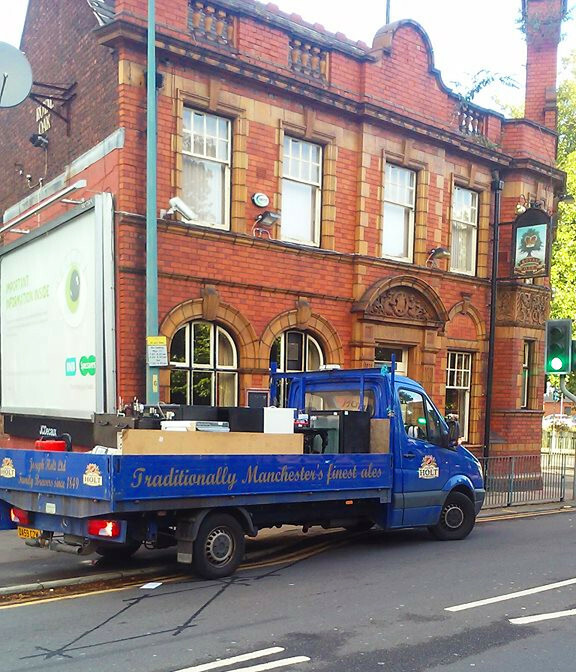 Now the brewery have sold the Edwardian pub for £170,000. Pub and restaurant property agents Fleurets have the Corporation Street venue listed on their website as being sold, subject to the exchange of contracts. Regular drinkers enjoyed one last pint in the wood-clad vaults on Thursday 29 September before removal men arrived to strip out stock and take away the pub furniture. The Royal Oak was notable for being one of three grand Holts ventures built in ornate red brick in Eccles at the turn of the century. Its brewery stablemates, The Lamb Hotel on Regent Street, and the larger Grapes on Liverpool Road, Peel Green, are still open and running. The building itself is Grade-II listed, and opened in 1904. It was built by Hartley, Hacking & Co in red brick with buff terracotta and is listed on CAMRA’s National Inventory of Historic Pub Interiors. Inside, it features a mahogany entrance screen, etched glass panel doors and bar, original fireplaces and Art Nouveau green tiles, and an original billiard table. The closure is just the latest for Holts as traditional tied drinking pubs struggle to cope with modern trading conditions. 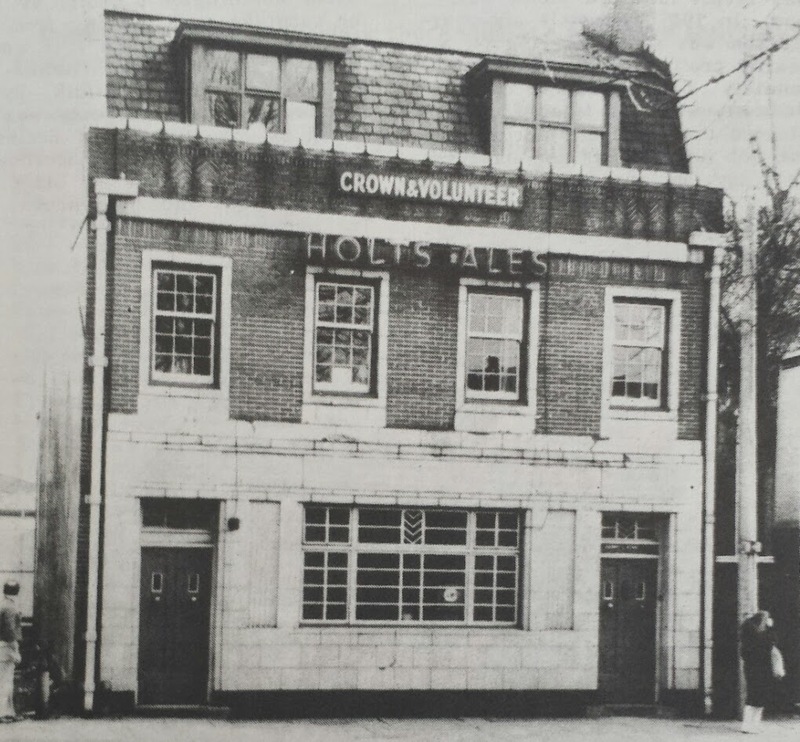 In past years Eccles has lost three Holts pubs: The Golden Cross, which was demolished to make way for a car showroom, the Crown & Volunteer on Liverpool Road, which is now a solicitor’s office, and the Wellington Inn, which was demolished for the expansion of the Eccles Aldi supermarket in the town centre. 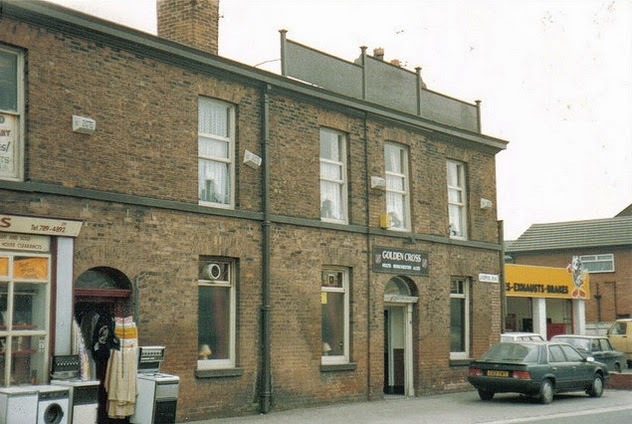 The Royal Oak suffered from years of declining trade – it began with the fall in mass employment – Salford Electrical Instruments used to employ over 1,700 workers just round the corner on Barton Lane but that closed in the 1980s. And lacking parking, the pub couldn’t persuade out-of-town visitors to make it a destination. Despite the best efforts of successive landlords to incorporate new music nights, discos and even inviting an interactive theatre company to take over the place for a night, the Oak was felled. Elsewhere, independent brewers are making big strides: Outstanding Beers, for example, are moving their entire process to the prominent Capital&Centric Ordsall business park. Unconfirmed rumours in the local community are that the buyers are Chinese – perhaps because of the Chinese-backed business investment in Eccles at the ‘Manchester Milton’ Hotel? Joseph Holts were repeatedly contacted but could not be reached for comment.